Tom McQueen has the advantage over many advice-givers. His guidance is based on scriptural knowledge and years of working with people who have turned to everyone and everything except Jesus for a resolution to their life s problems. 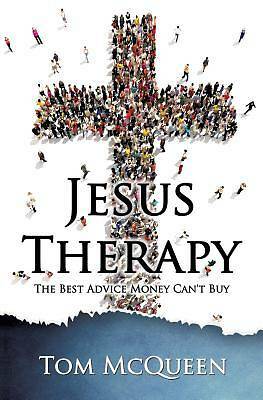 In Jesus Therapy, Dr. McQueen takes us on a journey to Jesus most powerful teachings, and then gives us the resources to achieve higher levels of spiritual and emotional fulfillment. Patsy L. McLaughlin, MS Licensed Mental Health Counselor Tom McQueen brings magnified insight into the Bible in these pages. His vision is refreshing, practical and sometimes humorous. Superb examples of prayer not only for seasoned prayer practitioners, but also for those new to the practice. He approaches challenging and deeply difficult subjects through compelling personal experience, honorable example of God's people, and life long reflection. This work is a solid companion for those of us who have lived life in the good and bad times. Reverend Gregory W. Hager Pastor, Lutheran Church of the Palms Tom McQueen has accomplished so much by identifying the many challenges we all face each and every day. But most importantly, he helps us learn how we can meet those challenges by looking to Jesus Christ for the answers. Mary Miller Pastoral Ministries Coordinator St. Thomas Aquinas Catholic Church "